As far as starting pitching prospects go, Kyle Funkhouser is what I would call "very prospect-y." The Tigers' 2016 fourth-round pick throws hard, is a big guy (6' 2", 220 lbs), throws hard, and is a very right-handed pitcher who, if I didn't mention it, throws hard. 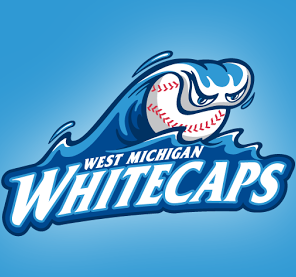 Looking at his stat line prior to Monday night's game (West Michigan Whitecaps vs Bowling Green Hot Rods) had my interest piqued: 25 1/3 IP, a shiny 2.75 FIP (always an important stat when looking at a pitcher's raw talent), a manageable 1.3 baserunners per inning, and a 3.91 ERA that was more the victim of small sample sizes than anything else. But the most eye-popping stat on that line was the one that said 14.6 strikeouts per nine innings. Hey now. Randy Johnson and Pedro Martinez in their prime years barely sniffed 13.5, if you want a comparison. And yes, this is Single A ball, and no, I don't think Funkhouser can sustain those numbers even this season, let alone for his career, but if I'm going to watch a live minor league game? I'd like to see 14.6 K/9 in action. That sounds fun. "What did you see? ", you ask. I'll tell you. Funkhouser has a big fastball. He was living in the 95-96 MPH area, occasionally touching 97, and even hitting 98 once. Hard stuff, the kind of stuff that generates weak contact, and he did plenty of that. Some 28% of his outs were groundouts, two of which he induced with runners at second and third and only one out to avoid giving up any runs. He's also got a pair of good offspeed pitches, a changeup and a slider, both of which he not only threw for strikes, but also used to get swings and misses. The slider in particular was what I like to categorize as "mmmmm ... yeah," with a bit of sweep-and-break that worked very well against left-handed batters. He snapped off one or two curveballs in the low-to-mid 70s, but nothing that made me sit up and take notice. His final line is a bit of a puzzle: 6 IP, 6 H, 3 BB, 8 K, 0 R. Up until the fifth inning he was striking out exactly one batter per frame, and then he doubled down in his final inning and struck out the side. But it wasn't a ton of swings and misses that were getting him the Ks, it was hitting corners with the fastball or freezing batters with offspeed stuff. Five of the eight strikeouts were on called third strikes. But you have to pay attention to the nine baserunners as well. He worked a clean second inning, but that was the only one. Lots of traffic that night, folks, lots of ducks on the pond. It seemed to me that his fastball command would come and go. Case in point: he struck out one batter on a 2-2 called third, went 0-2 on the next batter, and then proceeded to fire four straight flame-balls everywhere except the strike zone. One out of every four batters got to a three-ball count, if that says anything. For the record, there were a couple of cheap hits throw in there: two infield singles that were just too "squibbly" to do anything with, and a grounder down the line that hit first base and ricocheted off into right field before Blaise Salter could field it. So, in a perfect world, call it three hits and three walks in six innings, or one baserunner per inning. That's much more in line with his stats that I read leading into this game, and I can live with that. I'll avoid making any kind of projections or predictions here, because six innings just isn't enough of a sample for me. But the raw stuff looks very good, and I would not be surprised if the 23-year-old gets a promotion to Double A in the second half, assuming he keeps dealing like this and refining his command.